Today at Power Line blog, Steven Hayward writes about C.S. Lewis and a new book on Lewis and politics. He mentions having wondered in the past whether Lewis and Leo Strauss, whose thought he considers highly compatible, were aware of each other. Although he still doesn’t know that Lewis had ever heard of Strauss, he now has evidence that Strauss knew (and admired) Lewis’ The Abolition of Man. He plugs a new book, C.S. 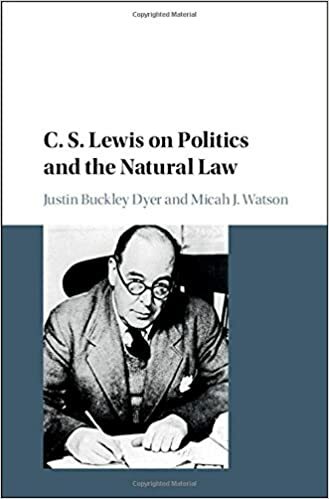 Lewis on Politics and the Natural Law, by Justin Buckley Dyer and Micah J. Watson. No reason why we shouldn’t get in on that business too.